Franck van Penitas has shelved his ambitions of being a writer in favour of a bucolic life raising two daughters, tending his vegetable patch and going mountain biking with friends who enjoy a drink or three, while his wife, Giselle, puts in long hours as a rural veterinarian. This tranquil existence is brusquely interrupted the day he receives an anonymous letter alerting him to his wife’s infidelity. Yet Franck neither sinks into depression nor turns to rage. Instead, he quietly pursues his own strange adulterous adventure for the space of a summer, until autumn brings a dark and most unexpected reckoning, when a sinister event from the past comes to light, with a brutal echo in the present. Coloured with wry observations, the novel unearths the complex tensions that lie just below the surface in this apparently quiet corner of rural France. Nicolas Maleski fashions a relatively simple yet engaging story, without resorting to melodrama, clichés or psychobabble. 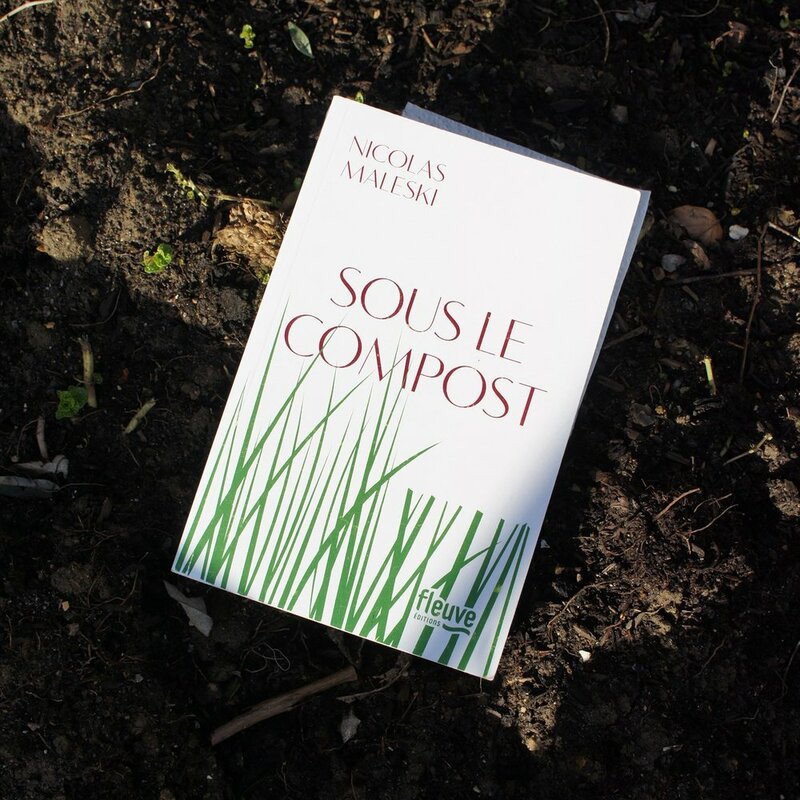 Told in the first person, Beneath the Compost may sound like your average French rural bonk-fest (and yes, there is a modicum of bonking) but this is essentially the tale of one man’s navigation through the kind of troubled waters that affect many a marriage. Nicolas Maleski maintains a polite discretion about himself. However, we do know that he lives near Tours, has never studied literature but has always been an avid reader, and that he aims to write the kind of books he himself would like to read. Beneath the Compost was shortlisted for the Grand Prix RTL-Lire 2017.